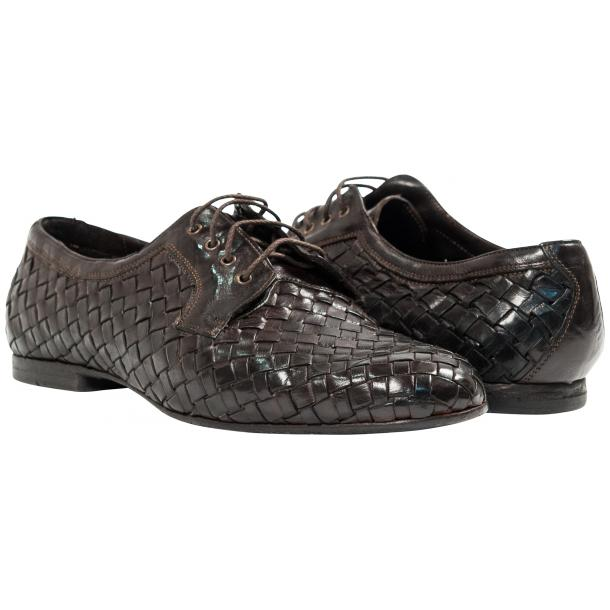 Beautiful woven nappa derby style dress shoes, featuring thin leather sole, kidskin lining and leather insole for comfort. A very light shoe that can be worn with or without socks. Made in Italy.